It's probably no exaggeration to say that this year's Gamescom has thus far featured more surprises and controversy than the whole of E3, and news doesn't get much more surprising in the gaming world than that announced last night. Yes, it's true, Metal Gear Solid V: The Phantom Pain will be coming to PC on Steam. Yesterday's Konami Livestream featured some refreshed gameplay footage from same portion of the game shown at E3 and an interview with leading light Hideo Kojima. At the end of the gameplay section there was a highlight reel of the ways the iconic cardboard box could be used to your advantage, closing with a reveal of the different platforms. Metal Gear Solid is a franchise synonymous with Sony's Playstation consoles and rarely seen outside its natural console habitat. Whilst other games under the Metal Gear umbrella (such as the recently well-received Metal Gear Rising: Revengence) have made it to the PC in the past, the core series has avoided the PC like the plague since poor ports of the 1998 original were panned. 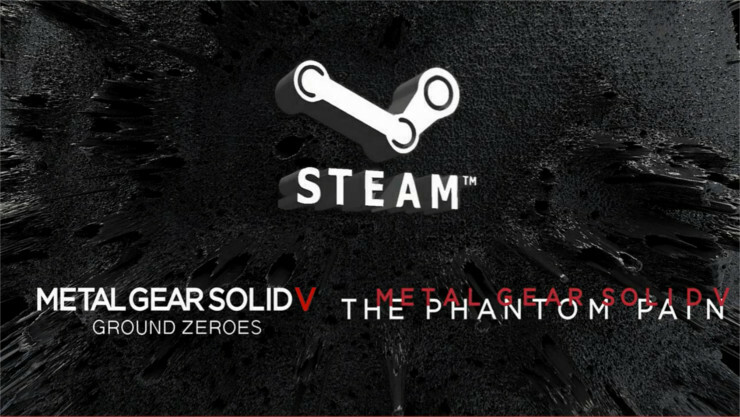 According to the announcement both the prequel chapter Ground Zeroes and The Phantom Pain will be coming to Steam, but at present no platform launch date is set. We'll have to wait and see if this is the start of a sea-change in Konami's approach to the PC.